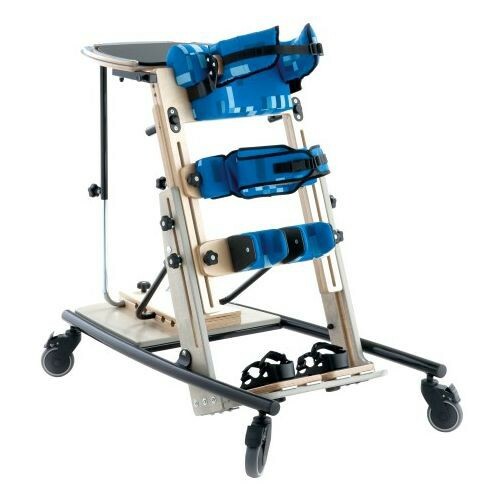 The Pronestander, by Leckey, aligns the chest, torso, pelvis, and legs for a child with complex postural needs. This child stander is available in three sizes to accommodate growth from 1-18 years of age for use at home, therapy, or in a classroom setting. 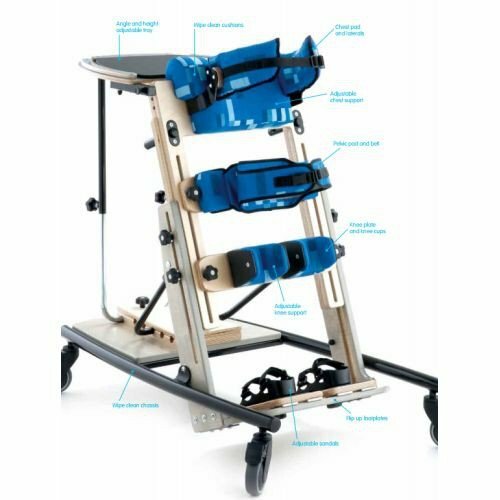 The Leckey Pronestander comes with several adjustable features that make it possible for the stander to be used by multiple children. The easy setup for different users makes it a worthwhile investment for therapists. Standing therapy is a vital part of growth for children with special postural needs. Maintaining an upright position for a period of time each day helps strengthen and tone muscles and reduce spasms. It is important that the child's pelvis and spine be aligned properly during this time to prevent pelvic rotation and soreness. 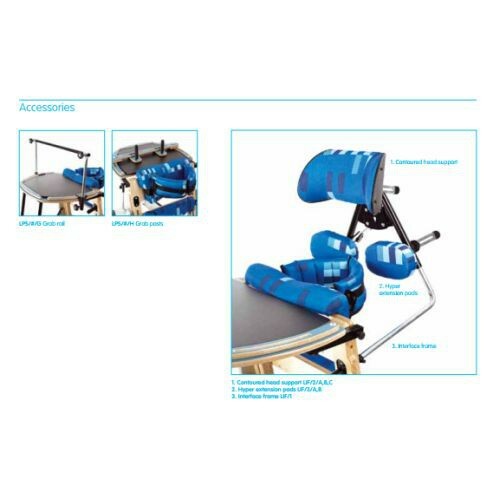 The Leckey Pronestander comes with adjustable chest, pelvis, and knee supports to ensure that the spine, torso, pelvis, and legs are held in place. 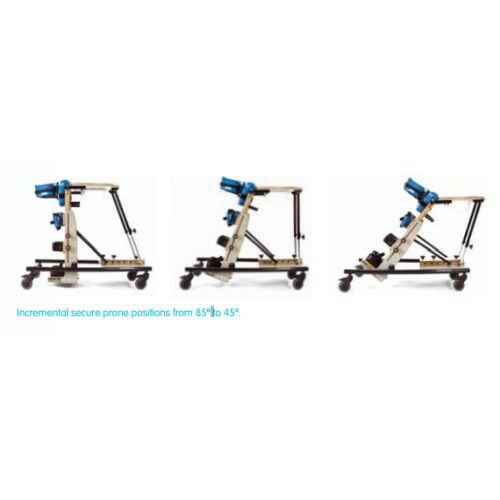 The stander has five different prone position angles to choose from based on the child's needs and preferences. At the front of the stander is a large activity tray table that can be used for eating, playing, or doing homework. The Pronestander has a comfortable chest and pelvic pad that cushions the joints as the child leans into them. Chest laterals on either side of the chest cushion provide extra support to the trunk to keep the child comfortably upright with their spine aligned. The flip up footplate makes it easy to transition the user into the stander with the use of a sling or lift. The Leckey Pronestander is designed to grow with the child. 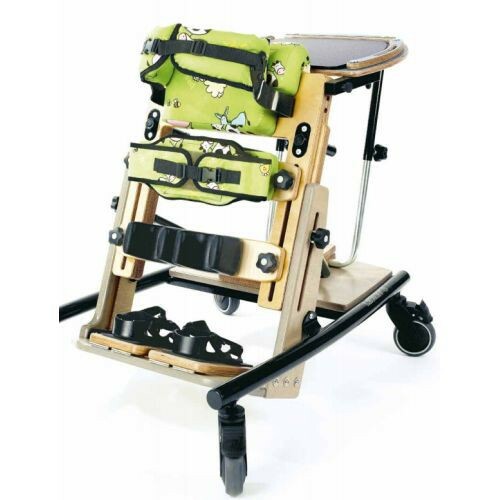 The adjustable chest, pelvis, and knee supports along with the height and angle adjustable activity tray make it easy to find a comfortable, customized fit for each child. Parents and therapists will love the wipe clean cushions. Comfortable standing therapy can allow for increased peer interactions and can also lead to an increase in positivity and an improved sense of overall well-being. Try the Leckey Pronestander today!